Sandwich a baked teriyaki portobello mushroom between two slices of a sprouted grain or gluten-free english muffin. Add some sliced onion, tomato, pickles and ketchup and you’ve got yourself a veggie burger. Slice some into strips and add them to these Teriyaki Veggie Spring Rolls. Or add them to these Veggie Quinoa Sushi Rolls. Chop some into chunks and enhance your Perfect Salad. Spread some Vegan Parmesan Hummus on a large tortilla. Add a chopped baked teriyaki portobello mushroom with tomato, onion and baby greens and enjoy a delicious wrap. 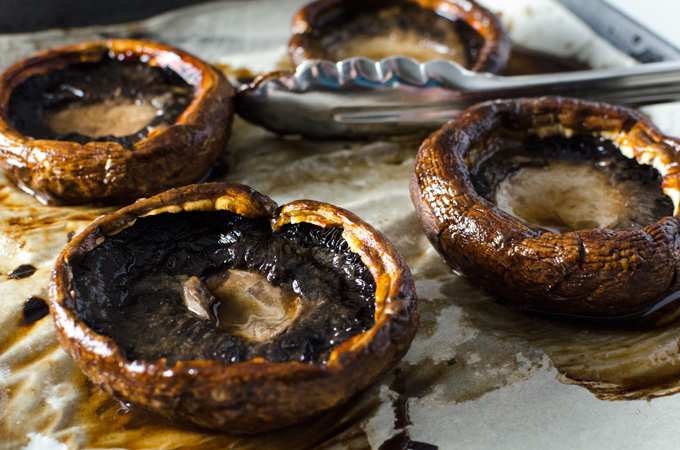 These baked teriyaki portobello mushrooms are both tasty and easy to prepare. I recommend you use my Homemade Teriyaki Sauce. It has just the right consistency and no oil. The parchment paper keeps the mushrooms from sticking to the pan. So you get plenty of flavor without the grease. 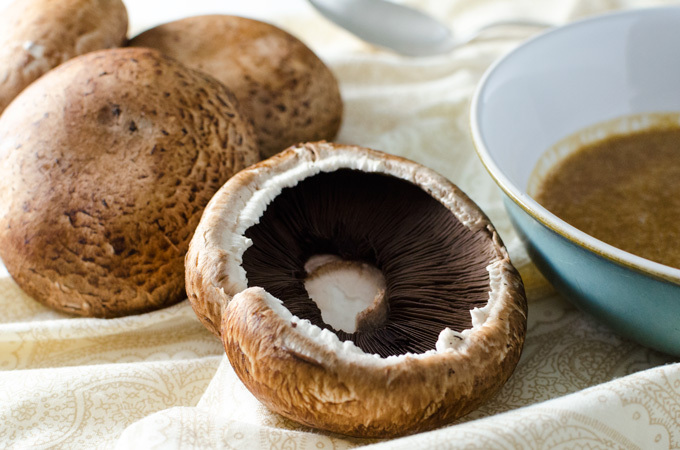 These baked teriyaki portobello mushrooms are quick and easy addition to a number of different vegan and gluten-free recipes! Pour teriyaki sauce into a small bowl. 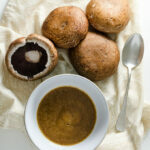 Wash portobello mushrooms and pat dry - remove stems if desired. 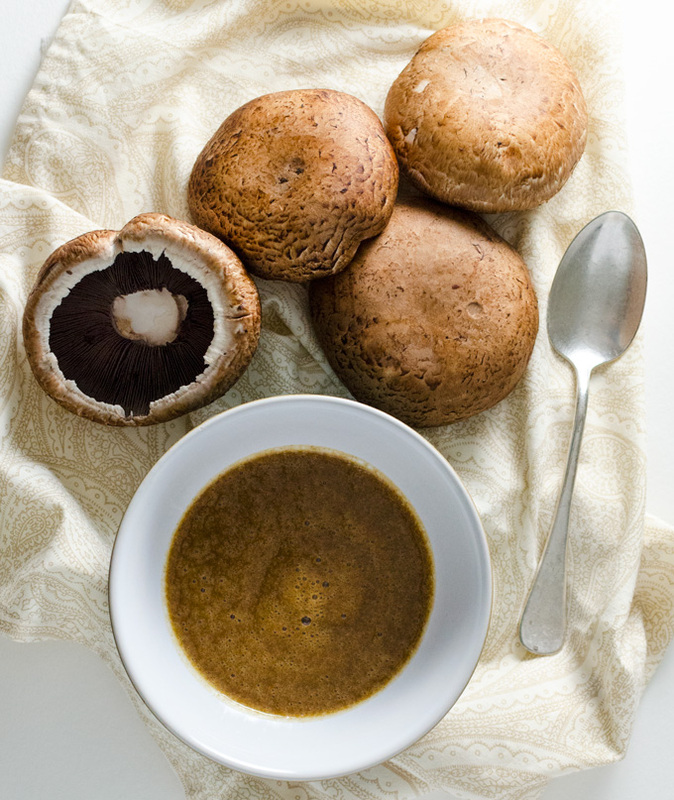 Slide a portobello into the sauce with the underside (gills) facing up. Spoon sauce over the gills and use your hands to spread the sauce over the entire mushroom. Then place the mushroom on the parchment lined baking pan, gills facing up. Repeat step 5 until all portobellos have been coated in teriyaki sauce and placed on baking pan. Use immediately or store in fridge for 2 or 3 days and reheat in microwave as needed. So simple – love it! !